A colourful poster which has little resemblance to what happens in the film. It could be artwork for any gladiator movie. 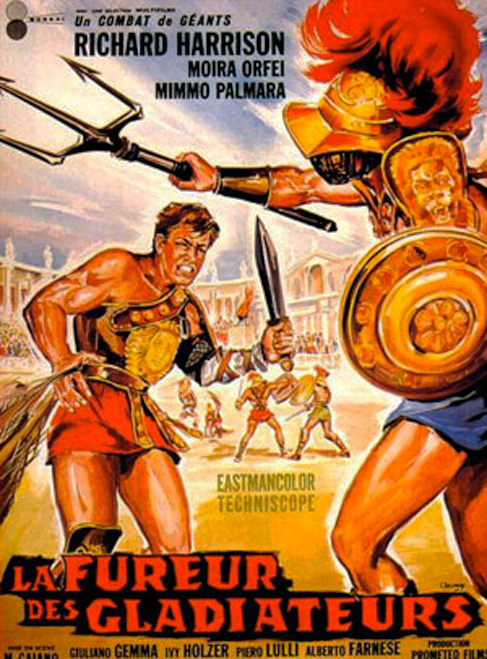 The French title in English translates as THE FURY OF THE GLADIATORS.